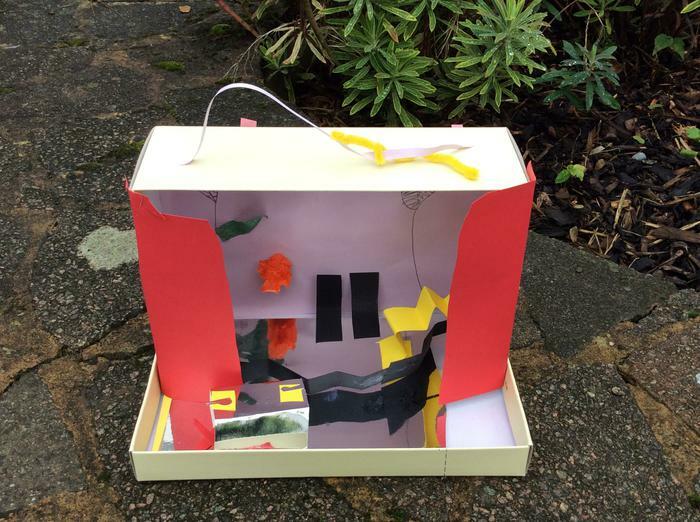 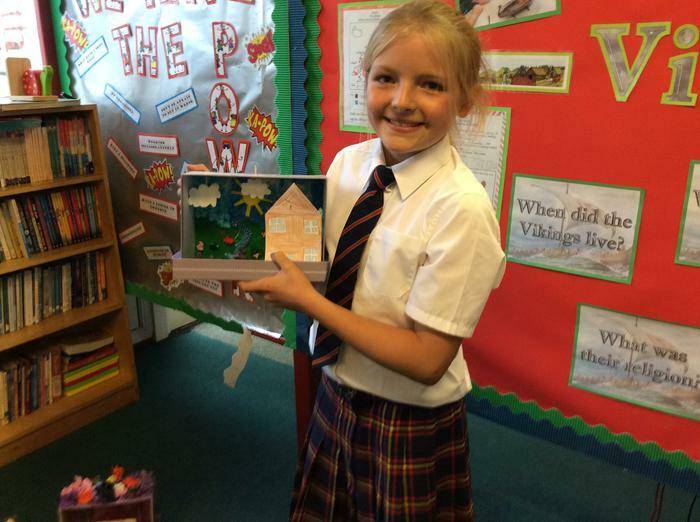 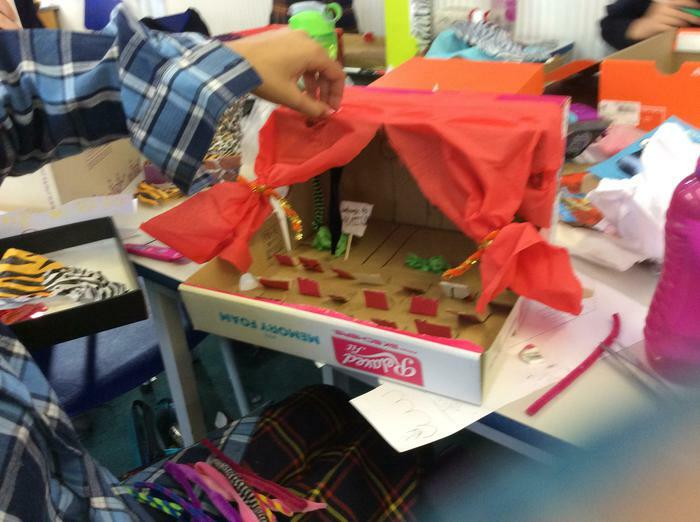 Today, I was in Year 5 and I really enjoyed the activity which was to make a theatre out of a shoebox. 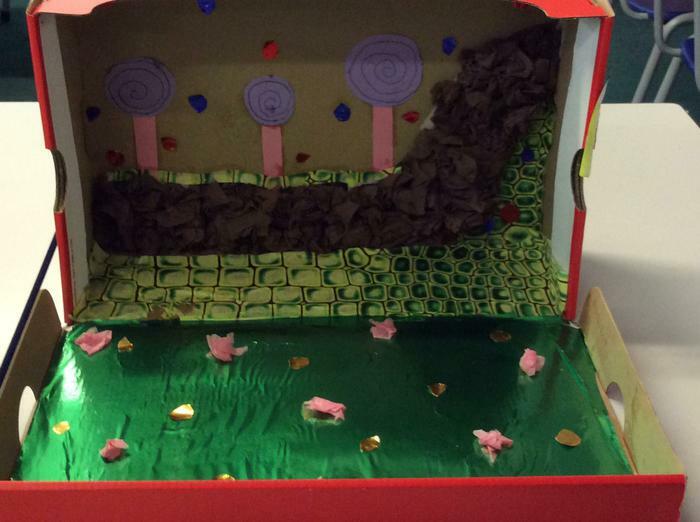 First we covered the box in tissue paper, next we selected a scene from a musical. 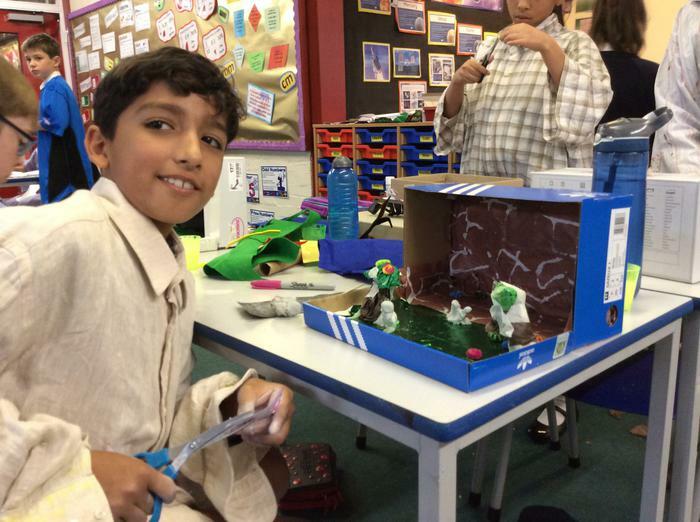 We then created the scene using paper, card, pipe cleaners and clay.